Down home fun is waiting at Pigeon Forge, TN. 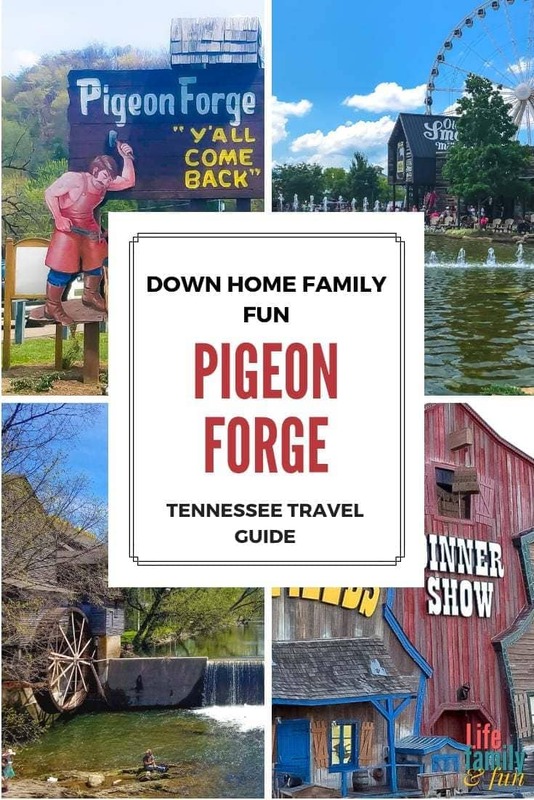 With Dollywood, Hollywood Wax Museum, great dining options, tons of antiquing and old southern attractions, and more, Pigeon Forge is heavy on down home fun for every member of the family. Pigeon Forge is an excellent family destination that is loaded with family fun things to do and see. 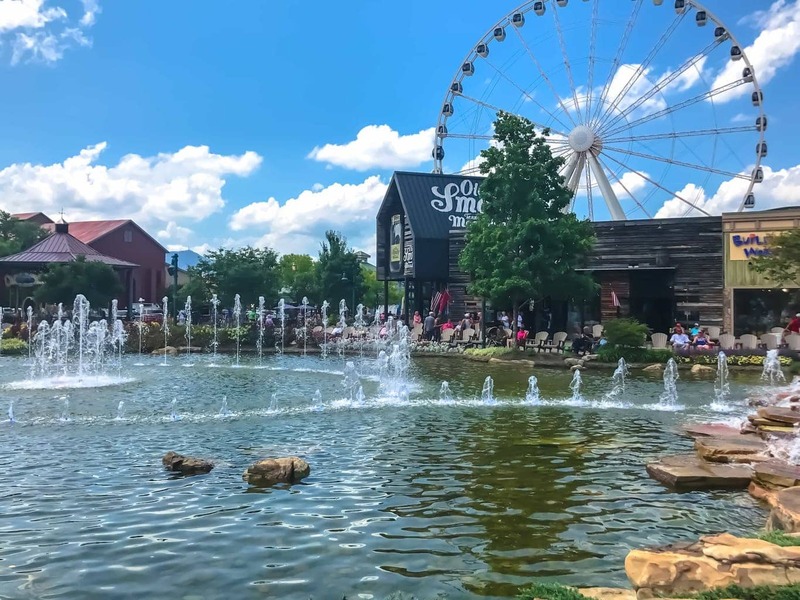 Whether your family is looking for an amusement park or museum, great shows, dining, or sightseeing, Pigeon Forge Tennessee has so much to offer. We were provided complimentary accommodations to help facilitate this review. All opinions are of course our own. 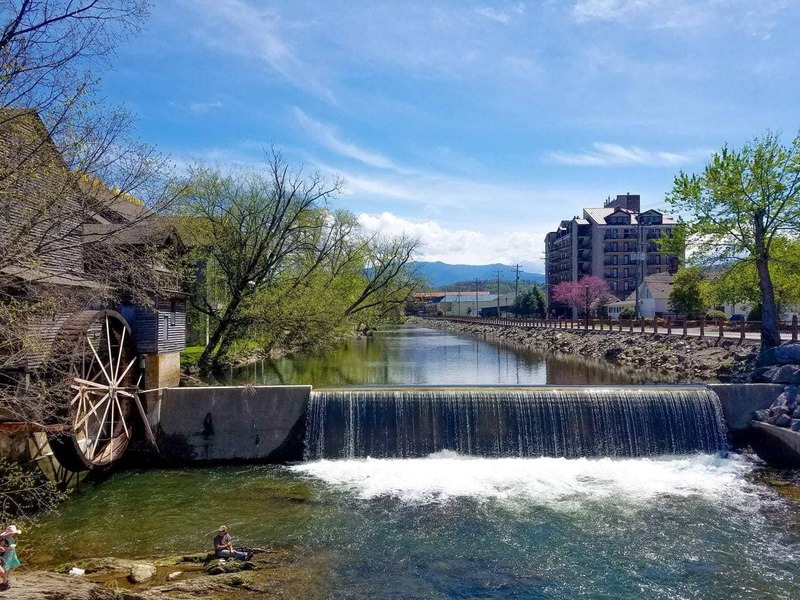 Pigeon Forge is all about the old-time feels with a modern twist. All across the area, you can enjoy shops that focus on handcrafted items, old school toys and decorations, and other items and events that make you feel like you’ve been transported back in time. And yet, it’s all done with a modern twist. Lodgings feature all modern creature comforts, restaurants combine old southern food with modern twists, and you can even visit theme parks. It’s the best of old and new school. Let’s take a closer look at these family fun attractions in Pigeon Forge. The modern take on all the down-home feels started as soon as I walked into my rental cabin at Eagle’s Ridge on Sunday afternoon. Let me stop right here and say that if you plan to take a trip to Pigeon Forge, you should definitely stay at Eagle’s Ridge. My cabin had a wonderful old school feel to the exterior, complete with surrounding trees and lovely views. The interior was a joy. Warm wooden walls reflected the lights of the lamps, and the decoration gave the entire interior a charming old time feel but with all the creature comforts of modern accommodations. I adored the Alpine Coaster and highly recommend it for down-home fun if you’re in the area. This coaster, the longest down hill track in the US, is just the right combination of speed and ease that makes it great for the whole family. Because it’s a downhill coaster, there are no loops or other crazy things the steer some people away from coasters. I don’t even like roller coasters and this was so much fun! The scenery is amazing and you get to stay in control of the hand brake so you can slow down if it gets TOO fast for you. But don’t slow down too much! It’s no fun unless you get a bit of speed up! The next day, we all headed over to Dollywood, where we explored the park and had a great time doing it. Originally known as Silver Dollar City, the park was purchased by country star Dolly Parton and has grown into one of the most popular amusement parks in America. Families from all over the world come to Dollywood for the rides, shows, food, and so much more. Each year the park seems to add something new so that the experience has something new to offer the families that come back year after year. This is one attraction you can not miss. If you’re in Pigeon Forge, you MUST plan at least one full day to spend at DollyWood! There are so many activities, rides, shops, shows and restaurants, you really could plan your whole trip around DollyWood. Some features that impressed me (and I’m a mom who’s been around the amusement park circuit hundreds of times!) was the large number of shady areas tired parents and grandparents can rest throughout the park while the kids wear themselves out, the family drying station where you can dry yourself and the kids off after a wet ride so you’re not sloshing around in muggy clothes and soggy shoes the rest of the day, and finally the chill room! Dollywood is the first park of its kind to offer a chill room where your overstimulated kiddos can be taken to decompress. Dollywood has several options for on the go food, but be sure to stop in at the Front Porch Café for lunch. The ingredients are all fresh, organic and locally sourced. The bread is baked right on property and can be purchased in the bakery shop just down the street. The atmosphere is bright, fresh, and has an unpretentious contemporary country flair that makes you feel right at home! The food tastes just as good as it looks. I had the fried green tomatoes and pimento cheese with crostini for an appetizer and the veggie melt sandwich for my meal. We all tried one of their amazing lemonades, But I can personally vouch for the Mixed Berry Lemonade served with fresh blueberries, a lemon slice and an orange slice… that is NOT how my Granny made it! 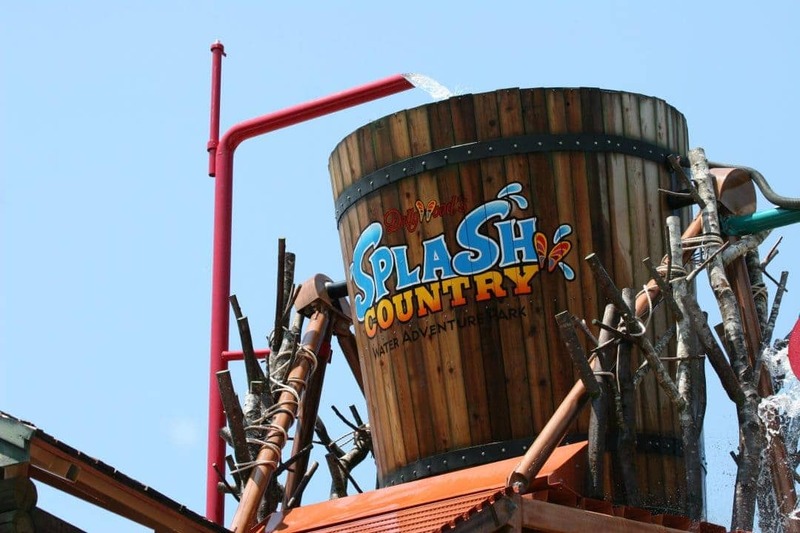 If you’re visiting Pigeon Forge during the summer, Splash Country Water Park is a must. This is a Dollywood park that features 35 acres of water fun. There are great attractions for those that love playing in the water, canopies for those that just want to hang out by the water, and wonderful dining options. It’s another great attraction that everyone in the family will love. 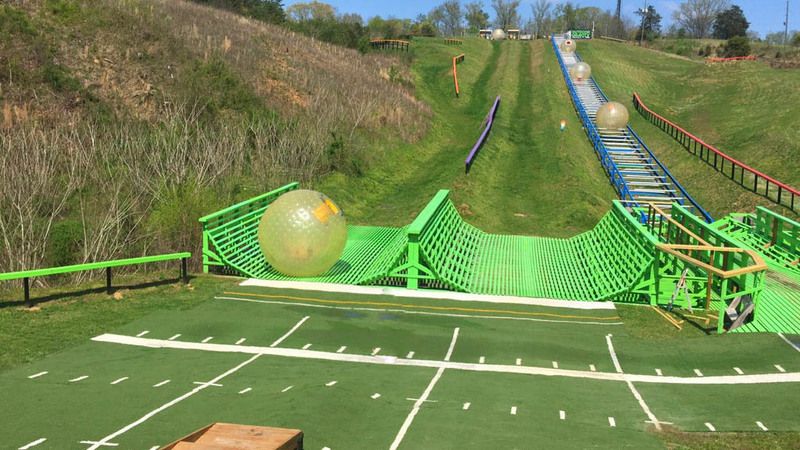 From there, we headed over to Outdoor Gravity Park, where we stepped inside a giant plastic ball and took at roly poly trip down a 1,000 foot hill. I have been wanting to try this activity for a while now and it did not disappoint. They will take you to the top of the hill at which point you choose one of three routes. I chose the one with the most zig zags or “bing-bings” as we kept calling them. When it’s your turn you climb inside the ball, they zip the door closed and then in no time, you’re bumping and rolling and bouncing your way down the hill for the kind of fun you’ll want to experience over and over again! Take my advice, if you have a go-pro or a water-resistant phone with a selfie stick, bring them! If not, no worries, they have go-pro cameras you can use and you can then purchase the footage. This is absolutely a must for down-home fun in Pigeon Forge, whether you have children or not. TIP: Bring a change of clothes because you’re going to get wet! What family trip would be complete without a little Go-Kart and Mini-Golf? After Wonderworks, we all headed over to The Track, a great place for family fun in the Area. The Track features Go-Karts, Mini-Golf, Bumper Rides, Kids Country, and Big Thrills. All of which make for excellent fun for all. Kids country is perfect for the younger kids, as it features a carousel, and other rides suitable for smaller kids. Big Thrills is excellent for older kids and adults with its Arcade, SkyFlyer, where you can experience the feel of sky diving, and a bungee jump. Nothing is more down home fun than spending time together at the fair, and The Island in Pigeon Forge is basically just one big fair ground with a hotel. We explored the park and found all kinds of stuff for the entire family to enjoy. The Island is a fully contained piece of awesome in Pigeon Forge, with the 4 Star Margaritaville Island Hotel is the hub for family fun. This resort is filled to capacity with rides, games, and attractions; over 35 retail shops; and more restaurants, eateries, and food carts than you can shake a stick at. You could make an entire trip of just staying at this park. From Dollywood, we headed over to Alcatraz East Crime Museum. It’s an intriguing crime museum that takes an in-depth look at American crime history. While it includes artifacts from Alcatraz, it’s not solely an Alcatraz museum. In fact, it has the white Ford Bronco that O.J. Simpson ran from the police in. The museum features five galleries: History of Crime, Crime Scene Investigation, The Consequence of Crime, and Crime Fighting and Pop Culture. In all, there are over 500 artifacts to explore. After a quick breakfast, we all went to take in more down-home fun at a bit of a clip with a whirlwind visit to several different attractions before our lunch. We hit the Hollywood Wax Museum which was more fun that you can shake a candlestick at. They have all the greats from Clint Eastwood to King Kong! From there we headed over to Castle of Chaos/Hannah’s Maze of Mirrors/Outbreak: Dread the Undead just across the lot from the wax museum, These three attractions are housed in one building, so it’s easy to fill up an entire day of family fun with one stop if you’re so inclined. Castle of Chaos is a 5D paranormal attraction suitable for tweens and up. Hannah’s Maze of Mirrors is just what it says, and is perfect for the younger kids. Outbreak is a zombie-themed attraction, so it’s obviously best suited for the older kids. Thrilling, but fun! For those that love movies, the Hollywood Star Cars Museum is a wonderful family attraction in Gatlinburg. The cars on display change from time to time to include some of the hottest cars from Hollywood blockbusters. Whether you love cars or movies, this is a great attraction. Hands down, Ripley’s Aquarium is the best attraction in Gatlinburg. The aquarium is serene, has amazing shows, and has so many wonderful types of marine life. Whether you want to get up close and personal with sharks or want to learn more about penguins, this is a great attraction to visit. There’s even convenient parking located on-site, which is great because Gatlinburg is definitely known as a walking city. Afterwards, we headed over to the Titanic Museum. 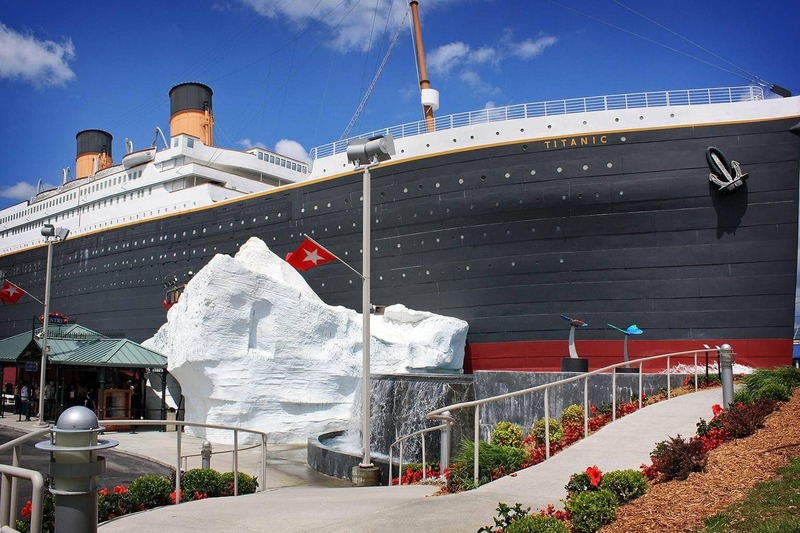 Shaped like the Titanic, the two-story museum is designed to immerse visitors in the true experience of being a passenger on one of the most impressive ships of its time. 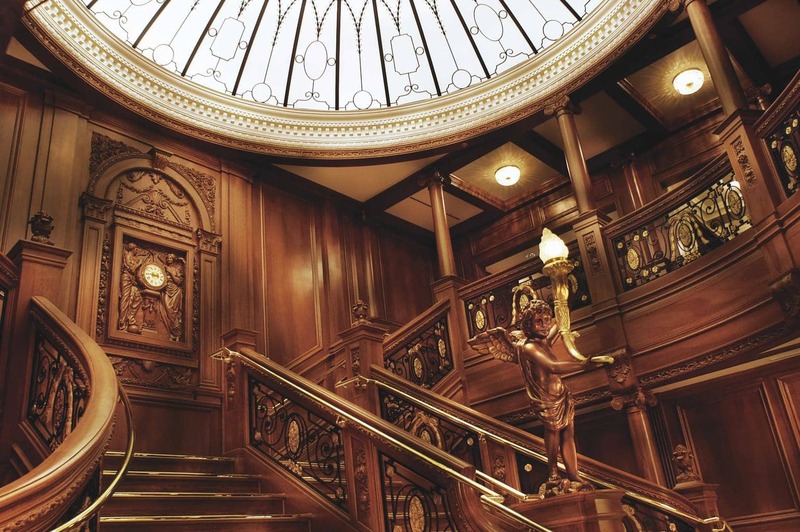 This half-sized replica of the RMS Titanic houses all sorts of artifacts from the ship, and its new Music Gallery even pays tribute to the 8 musicians who entertained aboard the doomed ship. Be aware that no photography is allowed inside the museum while you’re on your self-guided tour. It’s definitely a must-see in Pigeon Forge for down-home fun. Our new school adventure began at Wonderworks. Do you love for your children to keep learning throughout the summer? One way to trick them into learning is to visit WonderWorks. Known as an amusement park for the mind, the attraction features over 100 hands-on activities for the entire family. There are six zones that feature different types of exhibits so there’s something for everyone. 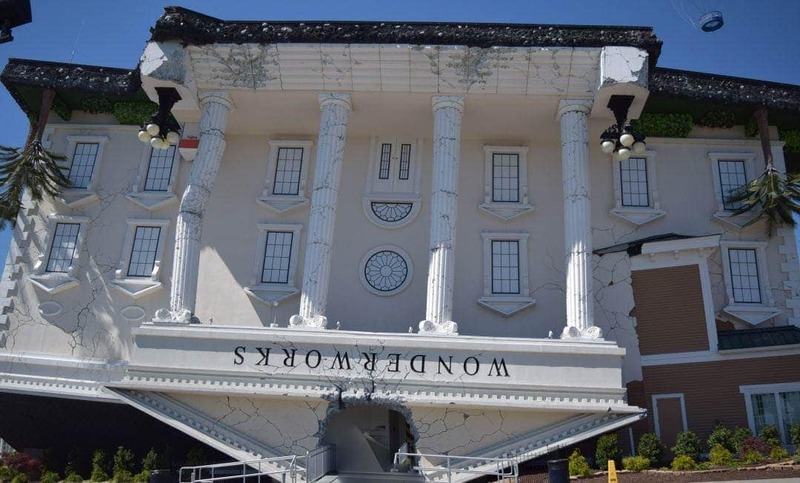 Known as an amusement park for the mind, Wonderworks is a must for any family visiting Pigeon Forge. It features exhibits on natural disasters, light and sound, art, space, a physical challenge zone, and imagination lab. Dinner doesn’t have to be boring. 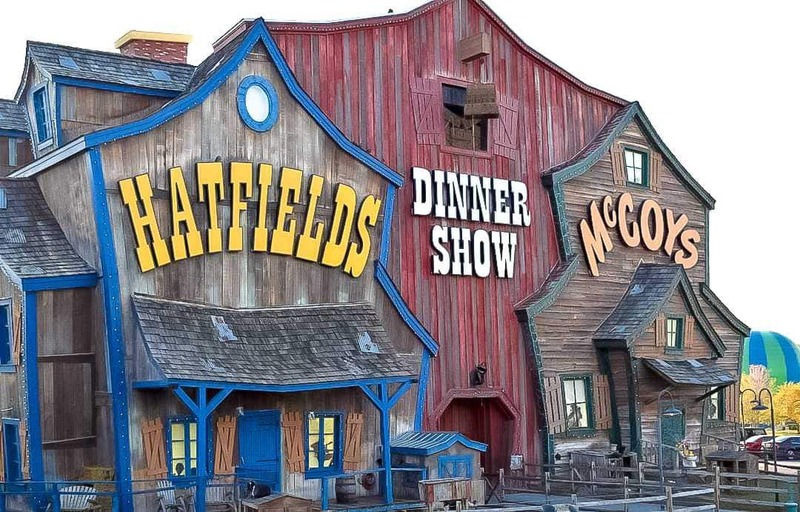 One great way to shake things up is to visit the Hatfield & McCoy Dinner Show. It’s a must for anyone. It’s fun for those from the South and those from the North. 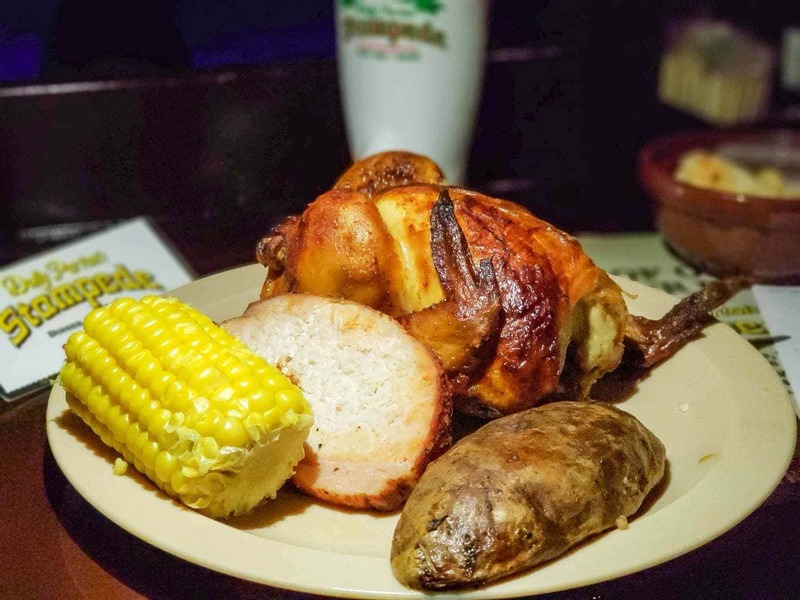 You’ll enjoy great Southern food, singing, dancing, and great entertainment that the entire family will enjoy. We all enjoyed the all you can eat food while taking in this hilarious comedy centering around the famous feuding families. It’s a fully immersive entertainment experience, with the cast bringing the audience into the show as they dine. We closed the day by taking in a Country Tonite show. It’s THE most down home fun you can have in the area. This fast paced show features production numbers and choreography with today’s country hits as well as country classics and hilarious country comedy. We had a wonderful time, and we were all either captivated by the music or laughing at the comedy the entire time. If your family loves rides, Ripley’s Moving Theater is a must. It’s like being in the movie. The theater features 5D technology and the movies shown changes from time to time. Do note that this attraction is a bit expensive for the time of the ride, but it’s something you’ll want to try at least once. Do be sure to check the warnings if you’re pregnant. I told you this was a big day! After the Hatfield-McCoy Dinner Show, we headed over and took in the Smoky Mountain Opry Variety Show. This show features a wonderful mix of music, dancing, comedy, and more. Shows range from broadway to blues and make for some great down home fun while you’re in the area. We closed the day and the trip by taking in the classic down home entertainment of the area – The Dolly Parton’s Stampede. So. Much. Fun. Think Medieval Times meets down-home country. 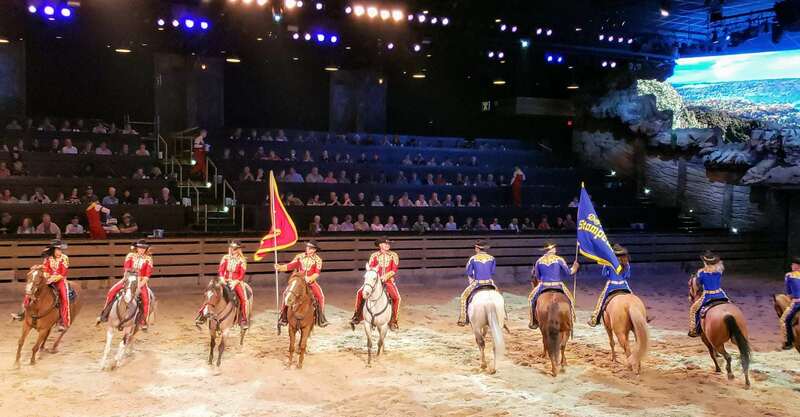 Dolly Parton’s Dixie Stampede combines down-home food with down-home fun, featuring horse riding, music, and more. It’s the most fun you’ll have in the area. My fellow attendees and I were captivated from the first moment to the last. It’s definitely easy to understand why Dolly Parton’s Stampede gets top billing in the Pigeon Forge Area. 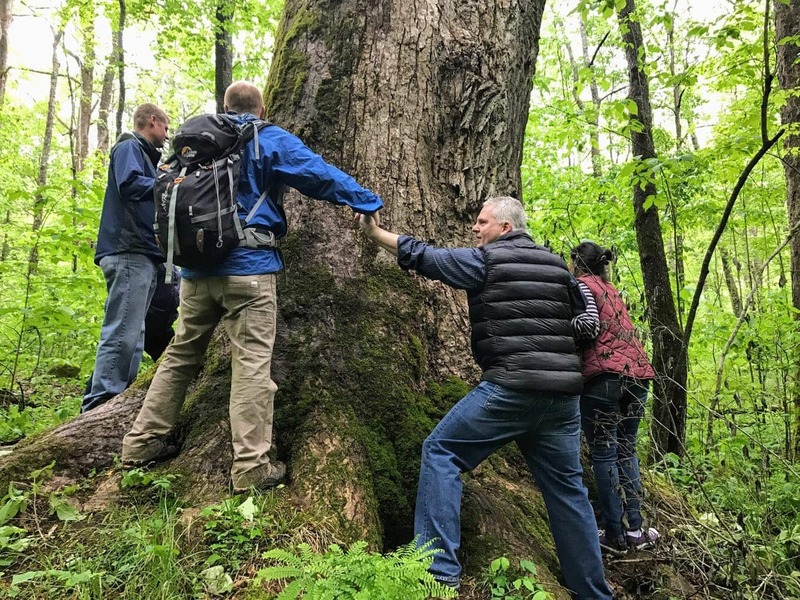 My fellow travelers and I had the chance to have a nice lunch and learn experience at Great Smoky Mountains National Park, where we learned about nature and wildlife, their importance to our environment, and how to protect them. We enjoyed a breakfast at Old Mill where we had a vast selection of old fashioned southern food to choose from. We had delicious, southern style breakfast while we took in the view of their famous water wheel just below the dam. From there, we took a tour of the mill itself, where we were able to see the mill actually grinding the grain! We also toured their various shops, pottery area, and their candy kitchen. Bullfish Grill has a great atmosphere, and one I always gravitate to – a combination of high-class and laid back. The warm wood – a prominent feature of many places in the area – reflects the lighting perfectly to provide an inviting vibe. My fellow attendees enjoyed delicious food in a warm, friendly atmosphere that was absolutely fantastic. Food options ranged from modern dishes like Hawaiian sirloin to southern classics like southern fried chicken tenders and low country shrimp and grits. My fellow travelers and I enjoyed dinner at The Local Goat at the end of the day. A restaurant which focuses on locally-sourced and sustainable menu items, The Local Goat is a local favorite in Pigeon Forge, and for good reason. From southern favorites like fried green tomatoes to and the classic bacon cheeseburger to more adventurous dishes like Ahi tuna steak, this restaurant has it all. Be sure to enjoy craft beer and play a game of shuffleboard on their vintage table if you’re into that. Of course, Julie hit the biggest, most well-known names in Pigeon Forge, but don’t think this is all there is. The great thing about Pigeon Forge is that all these big name places are waiting. BUT so are so many other smaller restaurants, antique and craft shops, and more. It’s one of the best places in the South – heck, in the country – for down-home family fun. When is the last time you have been to Pigeon Forge, TN?